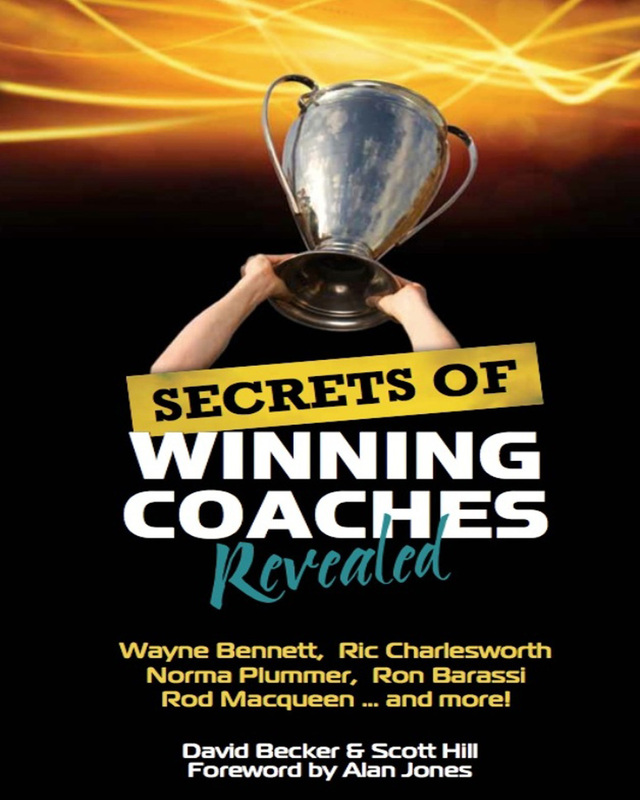 Discover the winning secrets to peak performance in the National Bestselling and 2nd Edition book, Secrets of Winning Coaches Revealed. The first in a series of books, it imparts the collective wisdom of Australia’s finest coaches using their personal stories and insights. The book is aimed at athletes, sports parents, teachers, coaches and business leaders and focuses specifically on key personal and developmental insights which aim to fast track a young athlete to individual excellence not only in their sport but in life. Some of the coaches featured include: Wayne Bennett (rugby league), Norma Plummer (netball), Lindsay Gaze (basketball), Frank Farina (soccer) Ric Charlesworth (hockey), Rod Macqueen (rugby union), Ron Barassi (AFL), Laurie Lawrence (swimming) and many more. Whether you want to create a winning environment in sport or business, you can learn from the ‘master’ coaches who have nurtured success attributes in athletes and managed to foster environments of success and have taken athletes to the limits of their ability. Keywords:- Sports Coaching, Youth Coaching, Coaching Book, Team Coaching, Coaching Athletes, Junior Coaching, Sports Book. Genres:- Sports & Recreation, Coaching, General.